Tony Dyson may not be as familiar a name as George Lucas, Carrie Fisher, Peter Mayhew, John Williams, or Ben Burtt, but his contribution to the Star Wars saga is just as important. Today, the man who built R2-D2 passed away at the age of 68. Here are 10 things you might not have known about one of Hollywood’s most iconic robot technicians. 1. HE HELPED SEND JAMES BOND INTO OUTER SPACE. For 1979’s Moonraker, James Bond’s eleventh big-screen adventure, 007 headed into space in order to track down a stolen space shuttle. The film’s producers called upon Dyson and his team to help create an out-of-this-world environment by building “36 model spacemen complete with backpacks, laser guns, and clothes for the space scene.” Altered States (1980), Superman II (1980), and Dragonslayer (1981) were among Dyson’s other film credits. 2. HIS FIRST MEETING WITH GEORGE LUCAS WAS ABOUT HAMBURGERS AND AIRPLANES. 3. 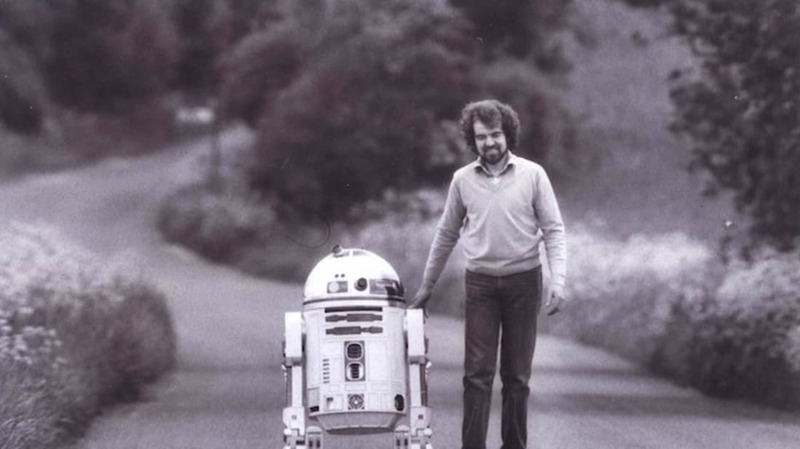 HE CREATED EIGHT R2-D2 MODELS FOR THE EMPIRE STRIKES BACK. 4. HE BELIEVES THAT MUCH OF R2-D2’S PERSONALITY COMES FROM THE DESIGN. R2-D2’s popularity with audiences was not a surprise to Dyson. “It was cleverly constructed to draw attention to it,” he told Digital Journal. “R2’s personality really comes out of the design. If you look at the design, R2 is not an animal, not human, something completely different in fact. On first visual contact you don’t know what he’s about. There’s nothing to relate to, he doesn’t have two eyes, he has three legs, and that is intentional. The actor Kenny Baker, who was inside R2-D2, brought out his personality, sometimes swaying back and forth on those legs, being cute with the voice or bleeps and bloops." 5. R2-D2’S THIRD LEG WAS A PROBLEM. 6. DYSON IS SORT OF RESPONSIBLE FOR THE ROOMBA. 7. HE WAS NOT A FAN OF GREEN SCREEN TECHNOLOGY. 8. HE HELPED TO DEVELOP DRONES THAT COULD SAVE LIVES. Last year, Dyson spoke with GeekWire about his latest project: “I’m putting forward a new startup called Green Drones, drones that will help mankind. They will be all automated and go on search-and-rescue missions, say an avalanche, or take water out to survivors in the desert. Any time people are in need or stranded, drones can go and automatically save them. 9. HE BUILT R2-D2, BUT WASN’T ALLOWED TO REPLICATE R2-D2. 10. HIS FAVORITE MOVIE ROBOT WAS NUMBER 5 FROM SHORT CIRCUIT.